2. On the My Projects page, click the green + in the upper-right corner. 3. Select Mobile - Default as the template type. 4. On the Create Project window, enter a name for the project in the Project Name field, and your Experience Service URL in the Server field. 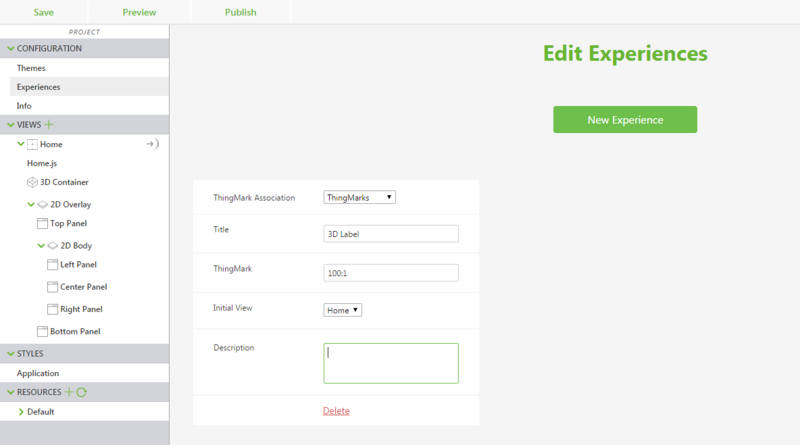 For example, https://example.pp.thingworx.io/ExperienceService. 5. Drag and drop a ThingMark widget onto the canvas. The ThingMark determines where other 3D augmentations are scaled and positioned in the Experience when you scan the physical ThingMark. 6. 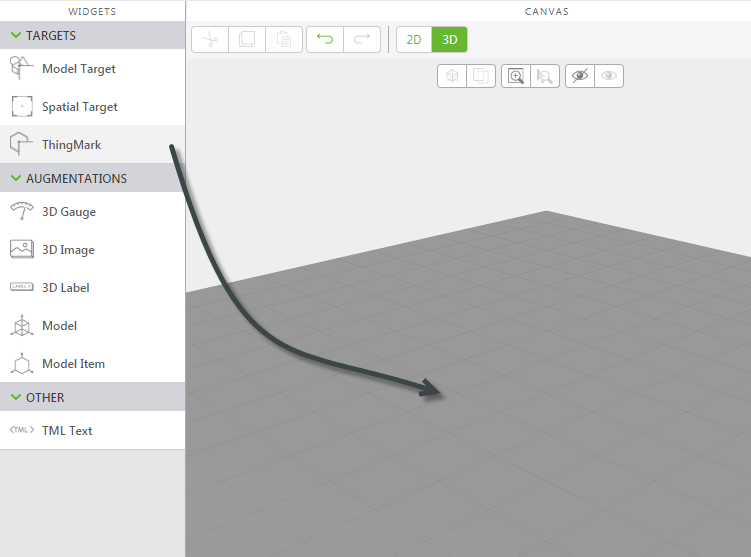 Drag and drop a 3D Label widget onto the canvas. Click the Transform icon to move the label to a desired position. Click and drag the different colored arrows and arcs to move the label. 7. 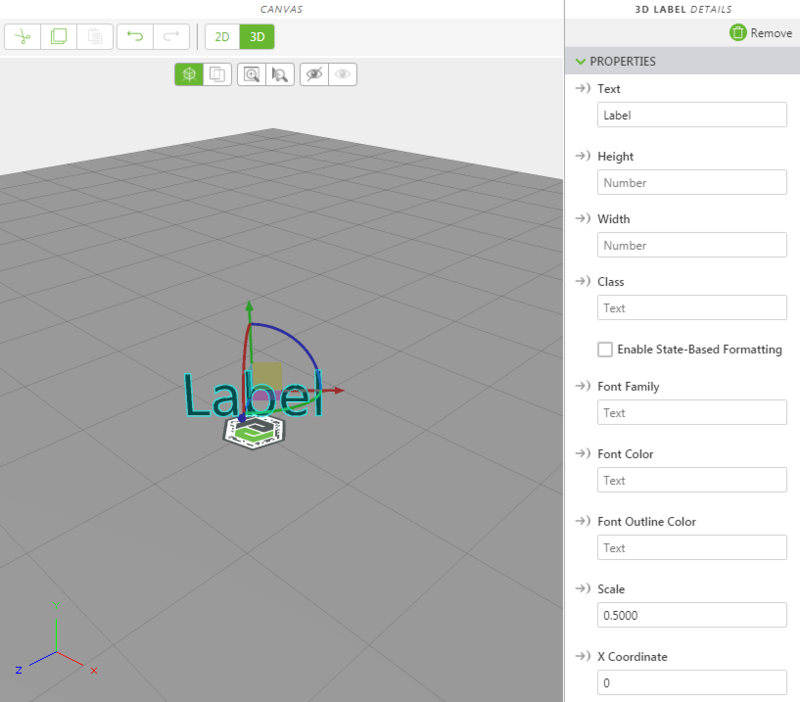 With the 3D Label widget selected, enter Hello, AR! in the Text field in the PROPERTIES pane. 8. Click Save on the project toolbar. 10. Next, in the PROJECT pane, click Experiences under CONFIGURATION. 12. If no other changes need to be made, click Publish in the project toolbar. 13. When the progress indicator shows a success message, your project is published to your Experience Service, and you can use Vuforia View to scan the ThingMark you associated to your Experience (for example, 100:1).